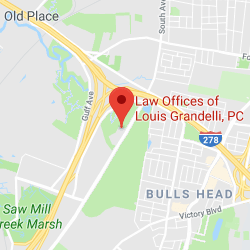 Truck and Bus Accidents | Law Offices of Louis Grandelli, P.C. Commercial trucks and buses obviously play an invaluable role in our economy and society, but because of their size and weight, it is especially important that the primary goal of the driver is public safety. Operators of buses and trucks are expected to have special knowledge regarding the operation of such a large vehicle, and should be extensively trained to watch out for other cars, bicyclists and pedestrians in the roadway, especially when entering intersections. In this regard, operators of buses are trained to “cover” the brake of the vehicle when entering an intersection in order to avoid striking any other vehicles or pedestrians in the roadway. Unfortunately, due to the size and weight of these vehicles, accidents involving buses or trucks often result in catastrophic injury or wrongful death of an innocent victim. 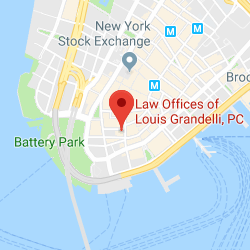 The attorneys at Law Offices of Louis Grandelli, P.C. have a tremendous amount of experience in handling cases involving serious injury due to the negligent operation of a bus or truck. Frequently, the insurance carrier for the offending truck or bus is unwilling to offer our client a fair settlement. 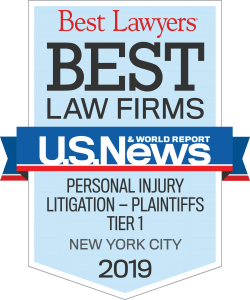 When this occurs, we have not hesitated to bring the case to trial and have a jury decide what compensation is fair and reasonable under New York law. 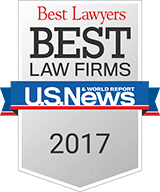 In these cases, we retain the necessary experts to establish liability and damages including accident reconstructionists. We have also subpoenaed the safety instructors who supervise the drivers, and who may have actually provided the operators’ training, to prove that the driver didn’t follow proper safety procedures for the operation of the truck or bus. When necessary, we will hire an expert to conduct an inspection of the truck or bus to analyze the mirrors, windows and other appurtenances of the vehicle to show that the driver negligently failed to utilize proper care in the operation of the vehicle. Further, since many trucks have “blind spots”, they may be required to be equipped with a warning device which beeps or alerts pedestrians and drivers of other cars when the truck is being operated in reverse. As in any case where our client has been seriously injured, we invest the time and money to ensure that the victims of bus and truck accidents obtain the justice they are entitled to under our civil justice system. If you or a loved one has been injured in a truck or bus accident, call us. We will give your case the individual attention it deserves.